ZXR10 8900E adopts advanced hardware architecture and is capable of providing up to 48 10GE interfaces per slot and 40G interfaces. 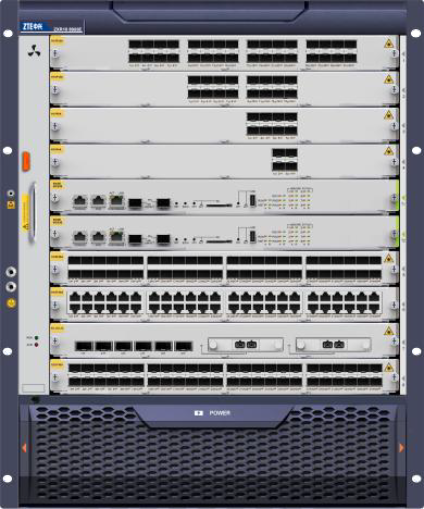 In the future 8900E will be able to be smoothly upgraded to provide 100G interfaces. ZTE ZXR10 8908E is Modular Chassis L3 Routing Core Switch supporting 8 Service Card slots.